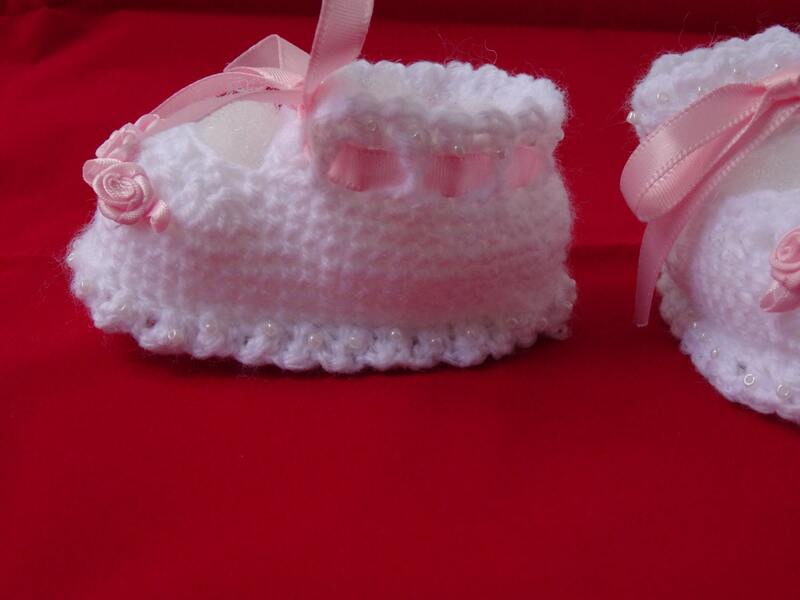 White handmade crochet babies booties, these could be an ideal christening gift. 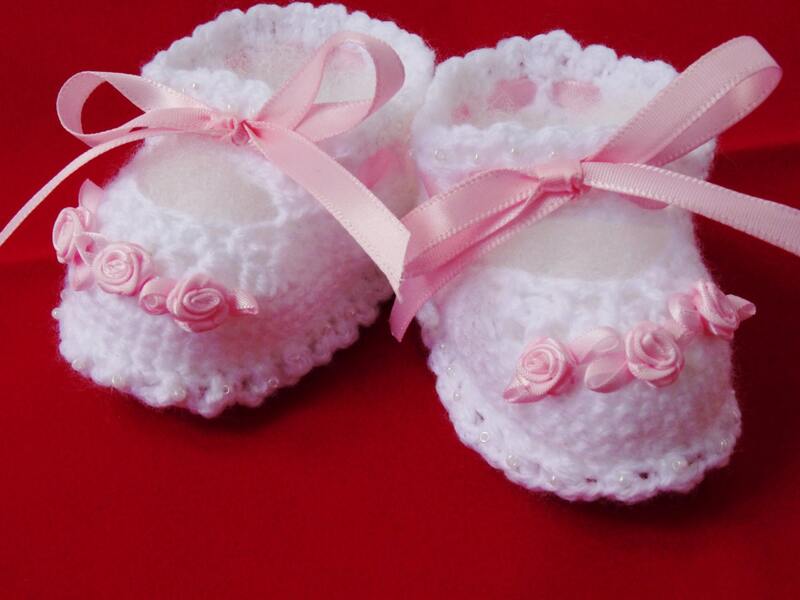 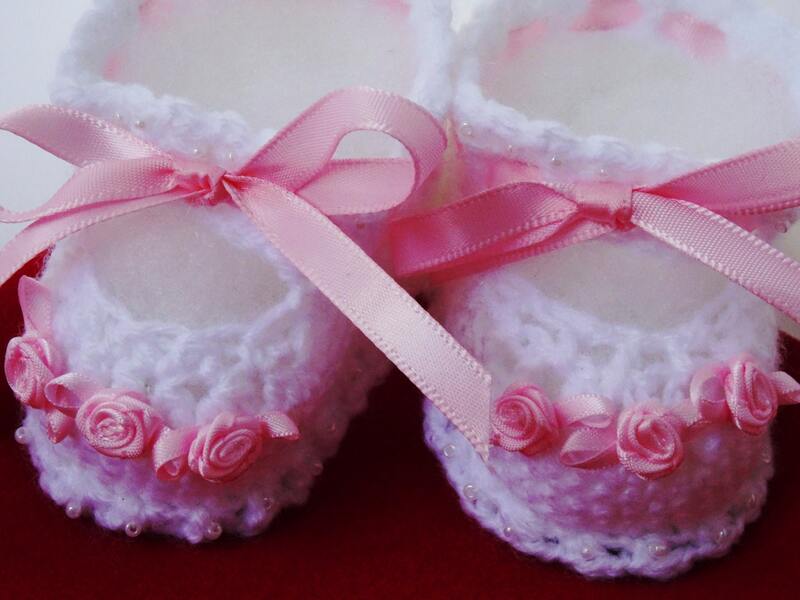 Made with white wool, pink ribbon roses on the front of each bootee, they also have hand stitched tiny seed pearls around the base and ankle of each bootee, they are also threaded with pink satin ribbon and tied in a bow. 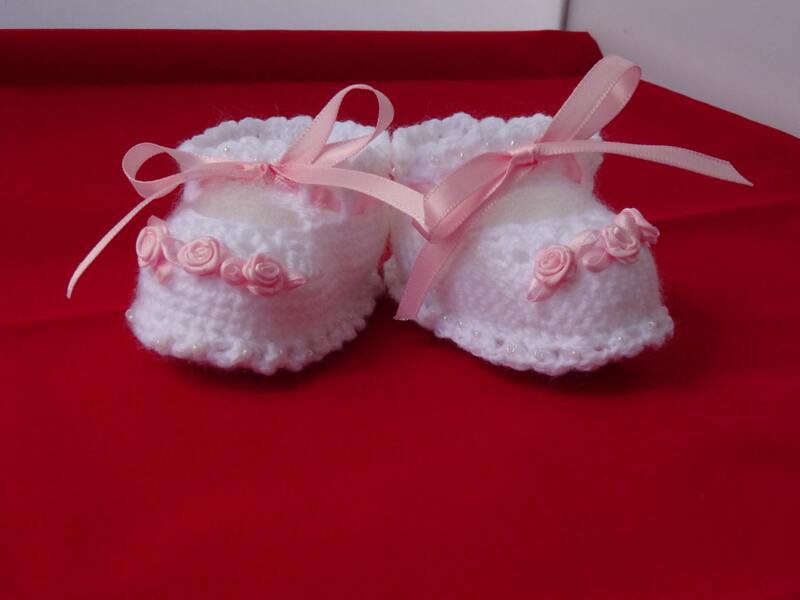 Suitable for 0-3 months, length of each bootee is 8 cm and the width is 4.5 cm. 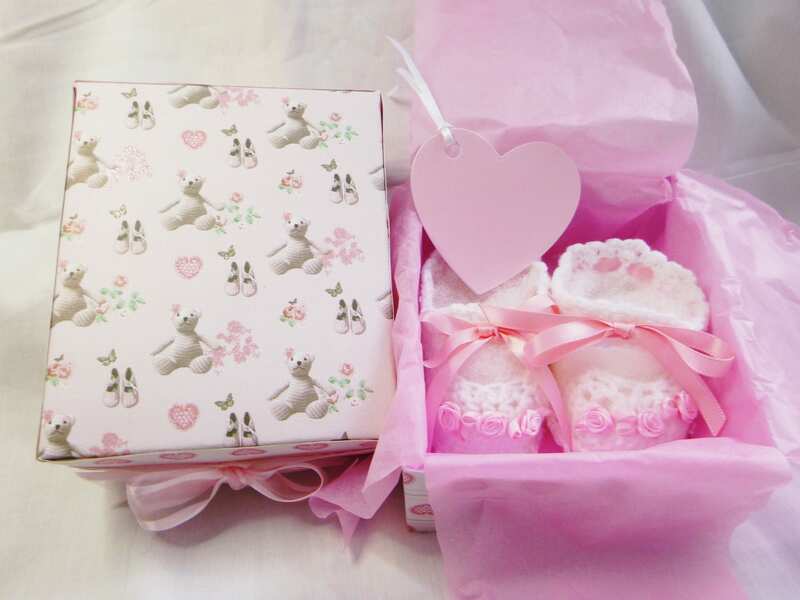 Booties come in a handmade gift boxed with gift tag.